We believe that authentic, rigorous participation by young people is essential to community change and revitalization. Involving young people and adult allies in community transformation can improve cities and simultaneously provides powerful, rigorous and relevant educational experiences for all. Place profoundly impacts young people’s opportunities and life chances. Even so, children and youth, and especially low-income youth of color, are rarely invited to sit at the urban-planning and policy-making table. The result is plans, policies and built environments that largely overlook the needs, insights and potential of some of our cities’ most important constituents. 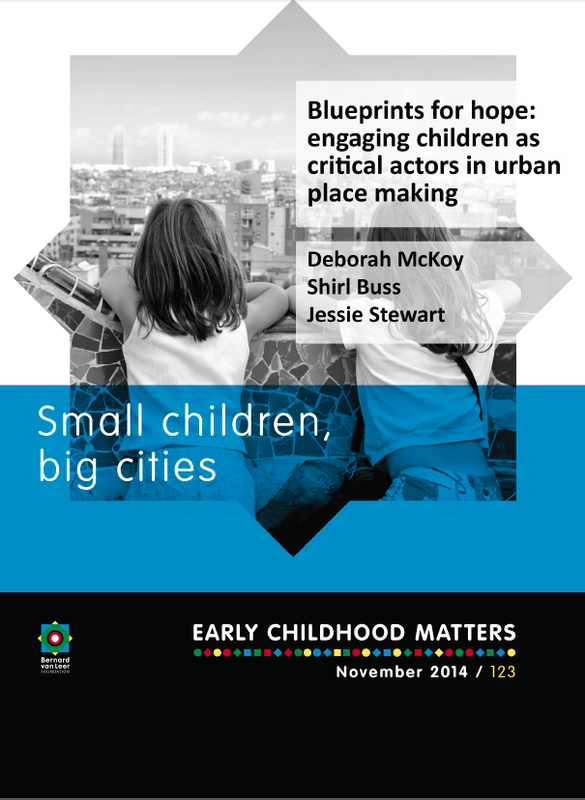 This field report is part of a special issue of Children, Youth, and Environments on Child Friendly Cities. It describes how high school students from Richmond, CA used the Center for Cities + Schools innovative educational strategy called Y-PLAN (Youth – Plan, Learn, Act, Now) to actively participate in the planning and transformation of their school, neighborhoods and city. 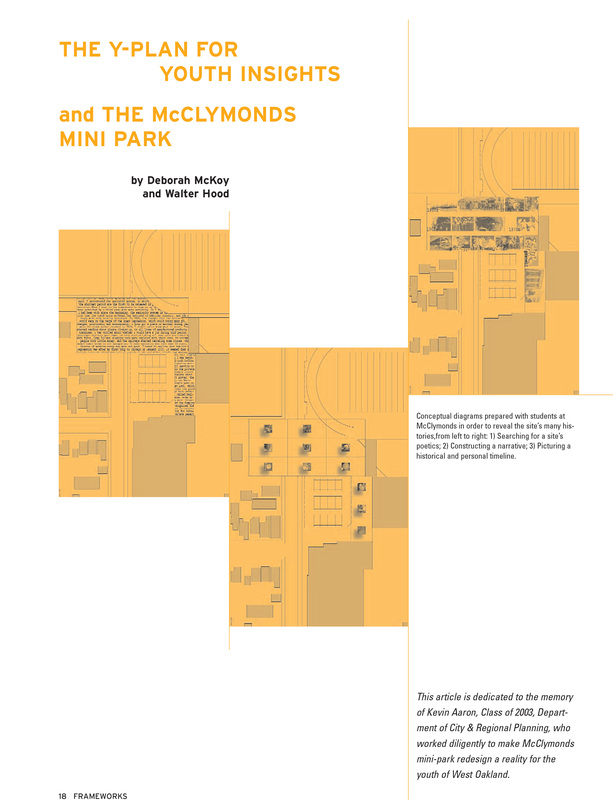 Our description follows students through the five-step Y-PLAN process, highlighting how they effectively challenge the ways in which unhealthy environments and adult-oriented urban planning and policy making structure disadvantage and undermine trajectories of opportunity. In doing so, the report illustrates how Y-PLAN can equip young people from low-income communities with the tools to become agents of positive change, and informs a discussion for planners and educators alike, of the essential conditions that structure that agency. Y-PLAN is our award-winning educational strategy and action research initiative that builds young peoples’ knowledge and skills for college, career, and citizenship while creating healthy, sustainable, and joyful communities. The Y-PLAN educational methodology is a successful model for youth civic engagement in city planning and policy-making using the transformation of public spaces as a catalyst for community revitalization and educational reform. Third- and fourth-grade elementary school students have been contributing their ideas to the redevelopment of their community in San Francisco, using a methodology known as Y-PLAN (Youth-PlanLearn-Act, Now!). This article explains the process and describes the ideas the children have come up with – and how key areas and insights are being incorporated into the new community design. 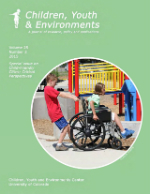 Read more about the Bernard van Leer Foundation and check out this entire issue of Early Childhood Matters. 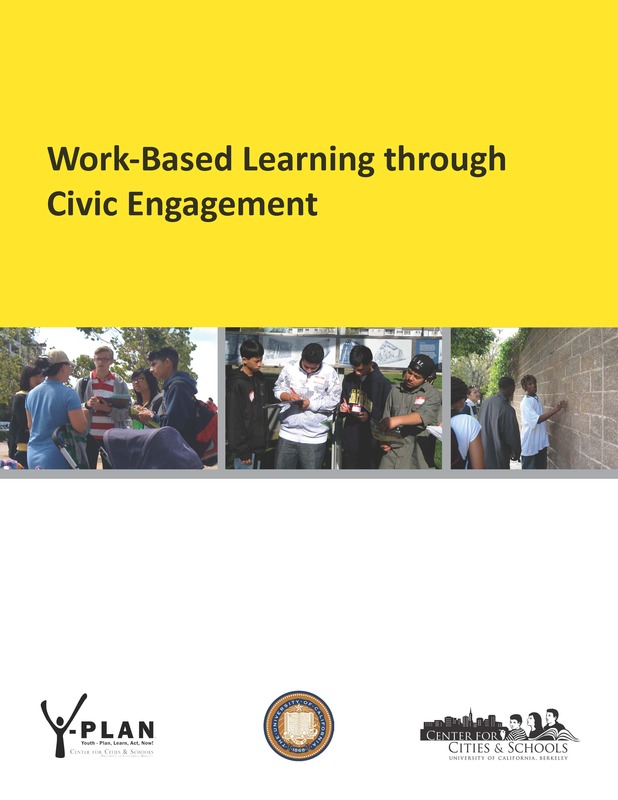 Work-based learning (WBL), an important part of the 1990s “School to Work” movement, is a core component of the Linked Learning strategy which is now shaping efforts to improve secondary education in California and around the nation in cities such as Detroit, New York and Philadelphia. WBL can include not only classic internships and “co-op” placements but also school-based enterprises and other activities in which students produce goods or provide services for other people. However, discussions to date have not fully recognized the particular importance of the civic sector as a site for WBL. The civic sector, including public agencies and nonprofit organizations, is vital to both a strong economy and a healthy democracy. The aim of this paper is to explain the idea of WBL in the civic sector and offer an in-depth look at a model of civic WBL –– the Y-PLAN –– in action. 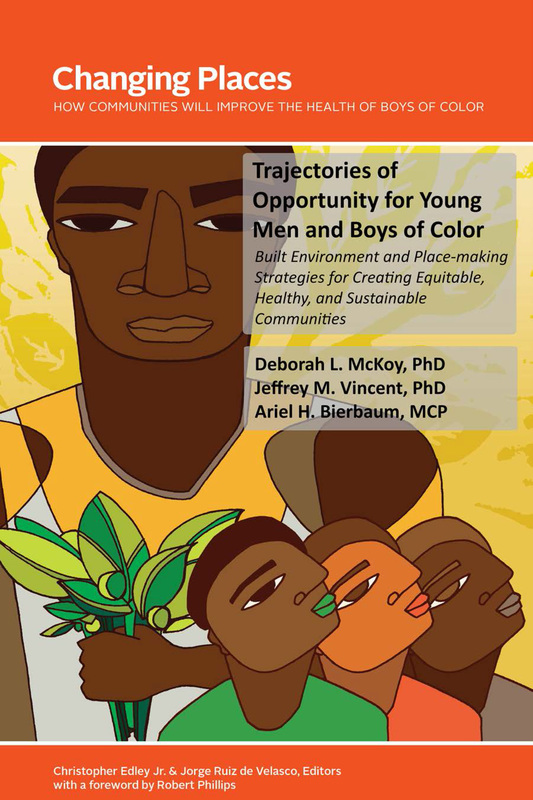 CC+S chapter in the book Changing Places: How Communities Will Improve the Health of Boys of Color (edited by Christopher Edley, Jr. and Jorge Ruiz de Velasco; University of California Press 2010). The book draws attention to the urgent need— both economic and moral—to better understand the policy and community- based factors that serve as incentives or barriers to young men and boys of color as they make critical life decisions. Our chapter investigates the ways in which unhealthy environments — and the urban planning and institutional practices that created them — structure disadvantage and undermine the life chances of young men and boys of color. We then describe how innovative city-school initiatives are aligning and leveraging the diverse elements of the built and social environment to create the trajectories of opportunity this group needs and deserves. Many schools offer service learning—community service linked to classroom studies—to help students become more effective participants in a democratic society. Different forms of service learning combine various amounts of discussion and analysis of social issues with engagement in activities that have real impact outside the classroom. What we call "Social Enterprise for Learning," or SEfL, involves students in both thinking about a civic or public issue and doing something about it. 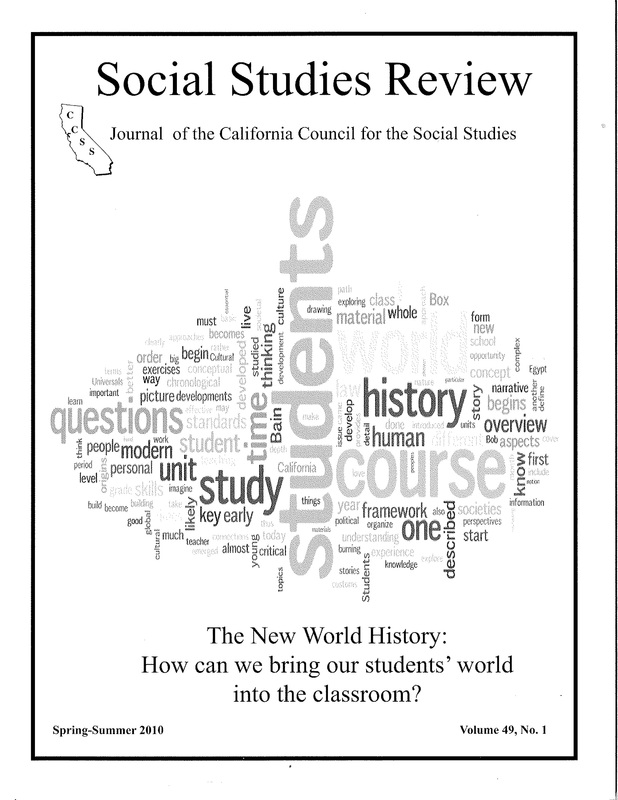 In this paper we describe the process we have developed for organizing SEfLs in high schools and how they evolve together with local educational and community partners. We include brief accounts of several SEfLs in San Francisco, to demonstrate how this process can be successfully replicated. Operating out of the University of California, Berkeley, Y-PLAN (Youth—Plan, Learn, Act, Now!) is a model for youth civic engagement in city planning that uses urban space slated for redevelopment as a catalyst for community revitalization and education reform. The program partners graduate level mentors, high school students, government agencies, private interests, and other community members who work together on a real-world planning problem. This article analyzes the data produced by Y-PLAN between 2000 and 2005 and demonstrates the model's effectiveness in fostering positive community outcomes and meaningful learning experiences, as well as its theoretical implications for the planning and education fields. We have identified three central conditions on which the success of the Y-PLAN rests: 1) authentic problems engage diverse stakeholders and foster a “community of practice”; 2) adult and youth partners share decision-making; and 3) projects build sustainable individual and institutional success. 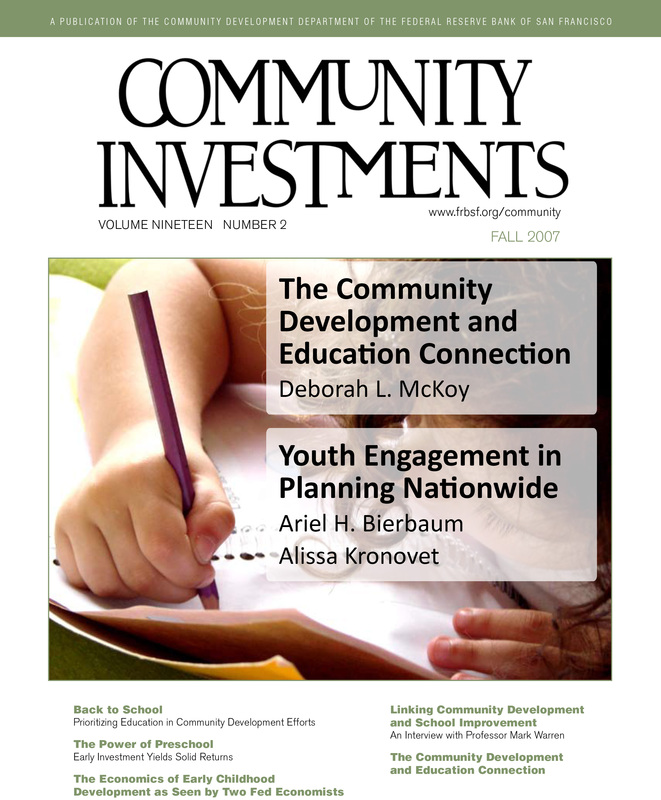 Briefly, two articles explain how CC+S has been pursuing ways to not only engage schools and students in the urban planning process, but to build a framework for systemic change that will help to align community development with school reform. In the second article, Ariel and Alissa discuss the proceedings and importance of a national Y-PLAN conference that invited students, teachers and practitioners from the Bay Area, Brooklyn and New Orleans. 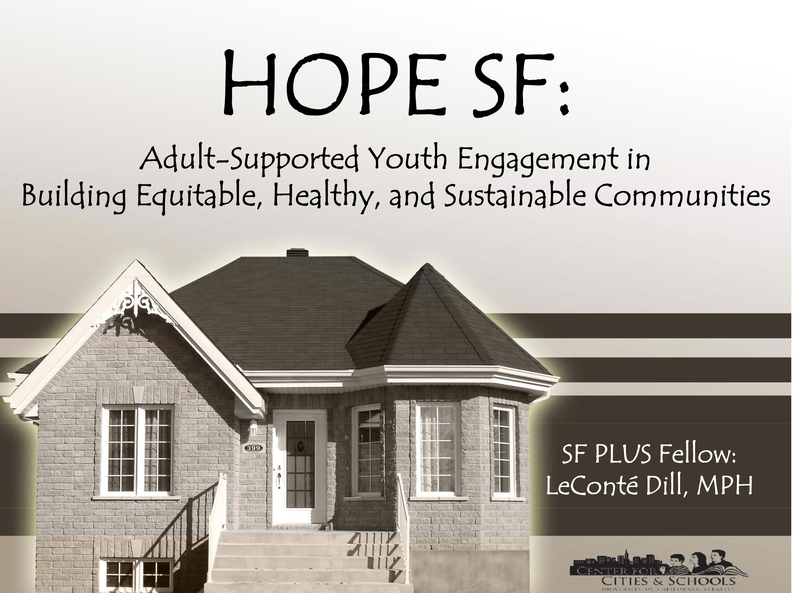 How can the Hunters View HOPE SF housing revitalization project respond to the special needs of children and youth? This is the question explored by 3rd and 4th grade students in Mr. Moore and Ms. Fredrikson's classes at Malcolm X Academy. Working with the Center for Cities + Schools and the San Francisco Chapter of the National Organization of Minority Architects, the students engaged in a series of hands-on architecture and planning projects to identify and document the student visions for how this housing development can be a catalyst for positive change in the community. The students identified how the special needs of students and neighbors of all ages and abilities might be incorporated into the final design of this project. This document represents our process and the products we produced. 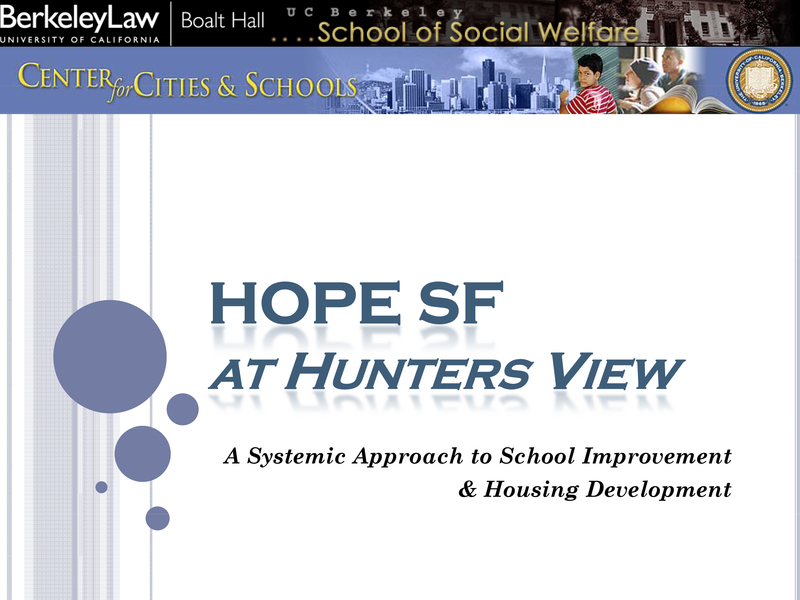 In 2008, the Hunters View HOPE SF development team, Hunters View Community Partners (HVCP), and its partners, the San Francisco Unified School District (SFUSD) and the Mayor’s Office of Housing (MOH), commissioned CC+S to investigate strategies for integrating education into the HOPE SF revitalization program at Hunters View. Hunters View HOPE SF seeks to better integrate housing and community development initiatives with educational efforts across San Francisco. The challenges to pathways for educational and neighborhood success in the Hunters View community correspond with those identified in the research literature, namely the social, economic, and political challenges often experienced by isolated, low- income, and largely minority communities. 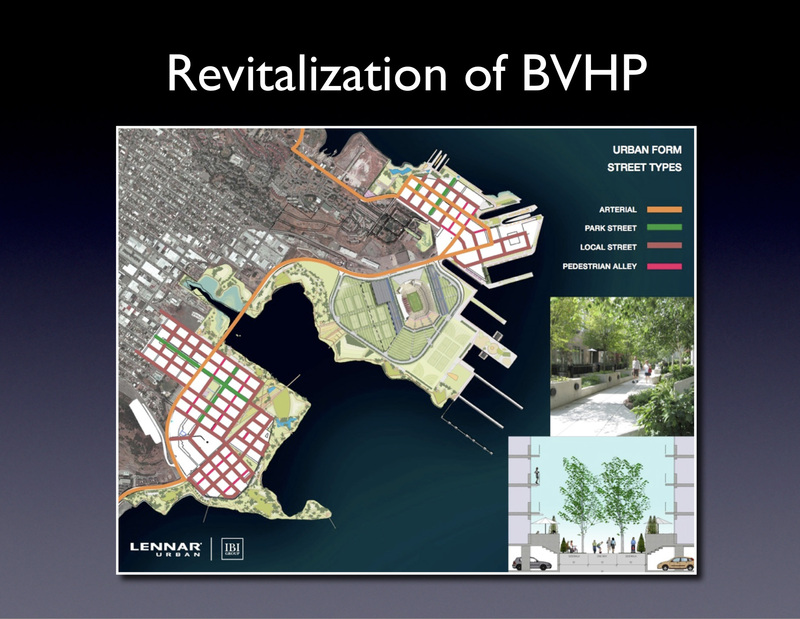 This report presents the research, findings, and recommendations that support the Hunters View HOPE SF revitalization strategy. 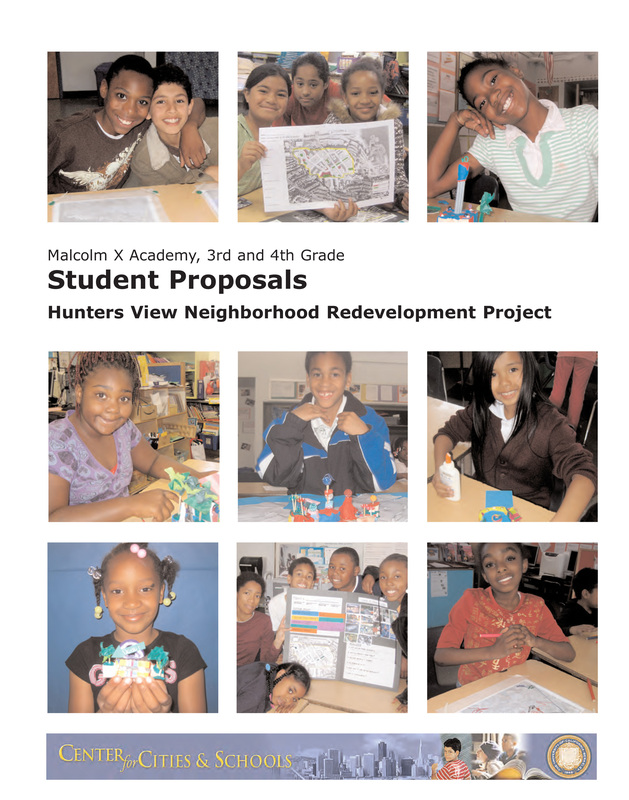 Specifically, the study provides an overall understanding of the current educational landscape at Hunters View; highlights opportunities to maximize resources and outcomes for all residents and families; and assists in creating an action plan for HVCP and their city and school district partners. In the summer of 2009, Oakland Unified School District (“OUSD”, “the District”) was returned to local governance after six years of State control, with Dr. Tony Smith as its new Superintendent. Despite fiscal challenges, the administration embarked on a year of listening sessions, followed by a yearlong collaborative planning effort that culminated in a shared strategic vision for the District. 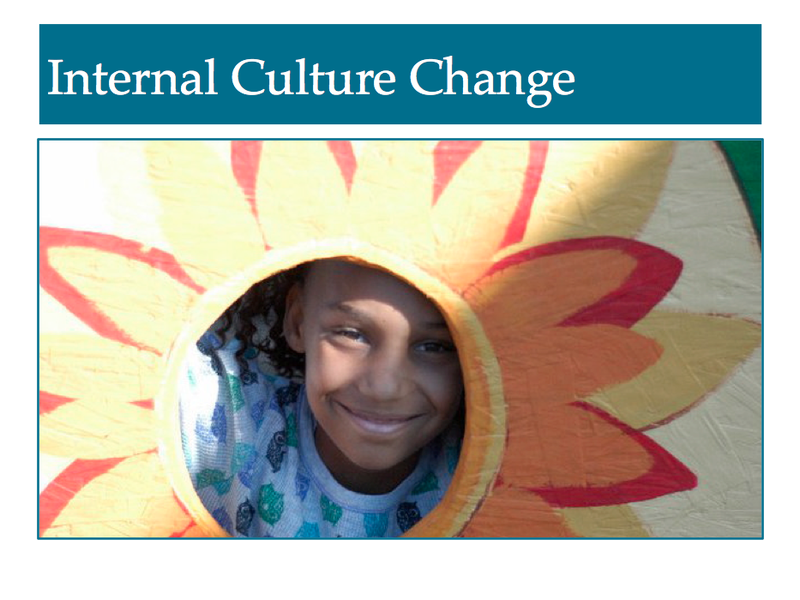 In the summer and fall of 2011, OUSD began a restructuring process. The goal was to “expand quality and release resources” and included the possibility of closing, consolidating, or reconfiguring a subset of the District’s schools. As a result the Board approved a number of schools for closure and consolidation on October 26, 2011, including five elementary schools. As in other cities, the decision was contentious. By emphasizing a 'Cradle to Career' pathway to success, this report outlines the potential for community organizations to interact with public schools in the Bayview/Hunter's Point neighborhood. Through connections with local communities of practice as well as development professionals and other adult actors, HOPE SF can improve the prospects for affiliated youth. This report analyzes the potential to integrate school and community services in the redevelopment of HOPE SF at the Hunters View public housing project. 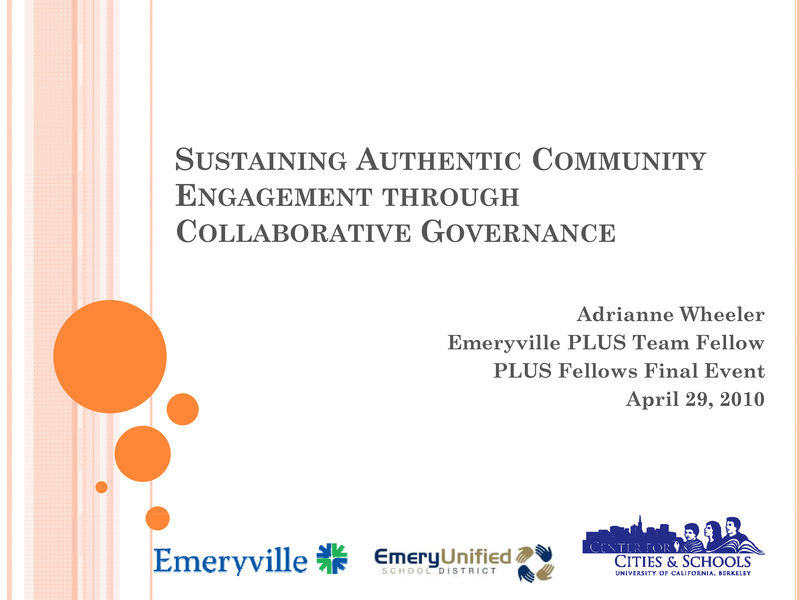 In order to improve community engagement, this presentation identifies legal agreements and non-traditional models based off determined decision issues as next steps. For both the General Plan Update Committe and the City-School Committee, the youth board representatives have proven to be valuable assets.